Muay Thai fights are usually more exciting to watch if you have some emotional involvement—if you know one of the boxers personally and are aware of the hardship they have endured—the hours of hard training, the injuries and physical trauma, the personal sacrifices—to be performing in the ring. So I admit to showing more than a little bias when I select this fight as one to highlight—a 118lb Channel 7 title fight between Satanfaa Eminent Air and Saengeng Gilasport. I’ve known Satanfaa (nicknamed Jack) for close to 5 years since joining Eminent Air Boxing Gym at the end of 2007. 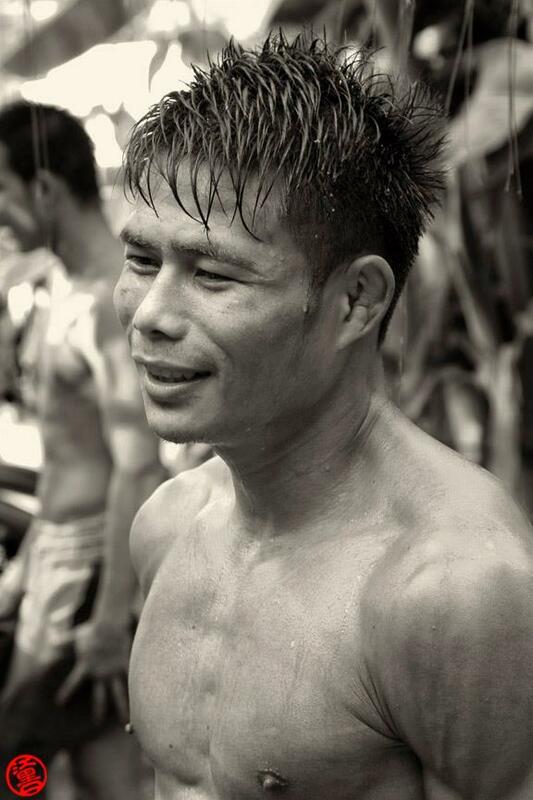 Hailing from Sisaket in Northeast Thailand, Jack is one of the hardest working Thais I’ve ever trained with. Clean-living and dedicated, he keeps his body in superb condition at all times, and has a six-pack that never fails to impress men and women alike! 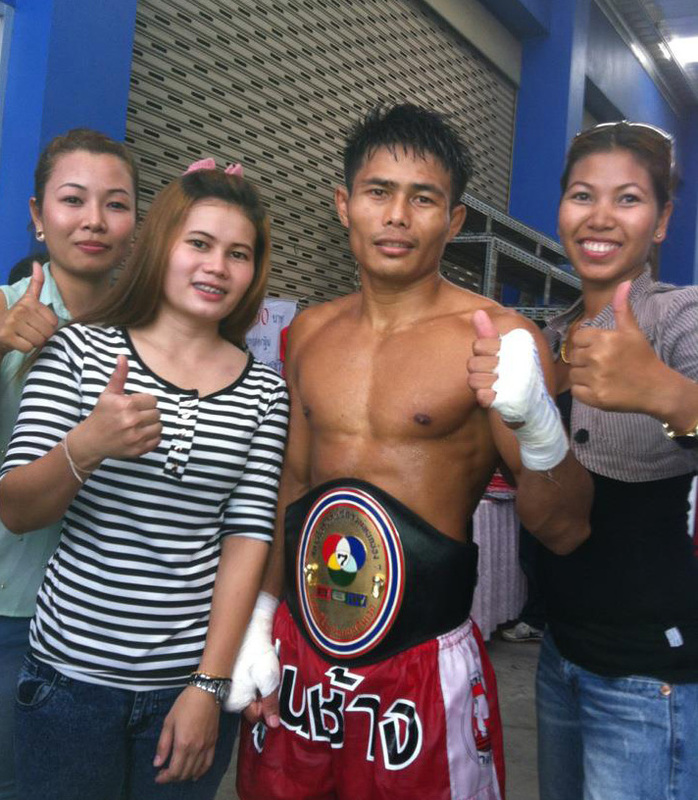 This fight was Jack’s third successful defence of the title that he first won on Christmas Day 2011 against Wangjannoi Sit-u-ubon, defended against Petchmorakot Tided 99 in March 2012, and defended a second time against Chokpreecha Gor Sagunchuea in May 2012. As you will see from the link, Saengeng was no pushover. At the end of round 4, Jack was reportedly behind in the gambling odds after some strong clinching and knees from his opponent. But Jack knows the points game very well and showed skills and resilience to emerge the victor—the judges’ score cards 49-48, 48-49, 49-48. Watch and enjoy. Muay Thai is life not just a sport! We live for it and love it! Muay Thai forever!